L’Appartamento d’Epoca is in the centre of Mantua, the city with the highest quality of life in Italy (Sole 24 Ore 2016), between pretty streets studded with shops, bars and restaurants while also well-connected to the main roads, which take you to Mantua’s A22 motorway in a few minutes. 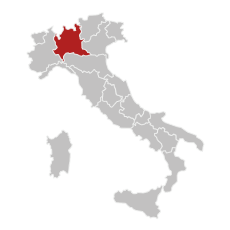 Thanks to the motorway, some of Northern Italy’s main cities are within easy reach: Verona (51 km), Reggio Emilia (58 km) Parma (59 km), Ferrara (90 km), Bologna (115 km) and Venice (150 km). 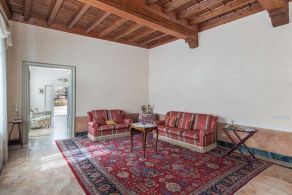 The nearest airports are Verona Villafranca (45 km) which is extremely convenient and can be reached in about half an hour by car, and Bergamo Orio al Serio (130 km) which can be reached in an hour and 20 minutes. 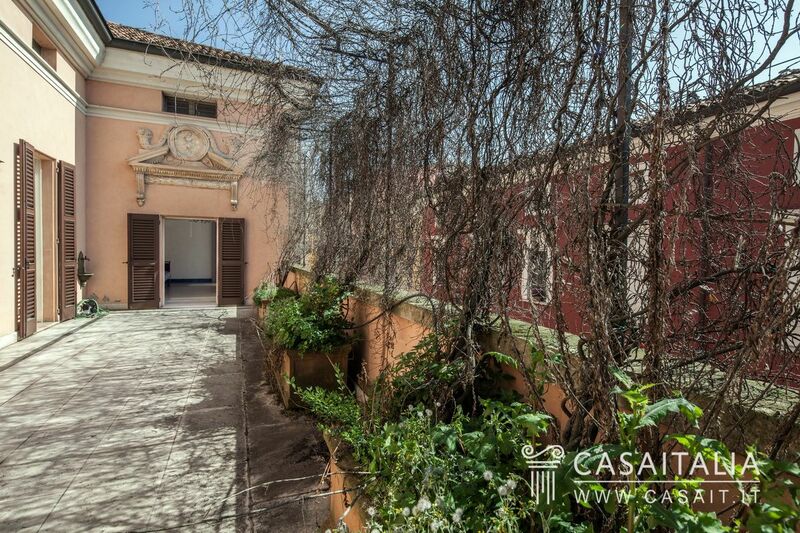 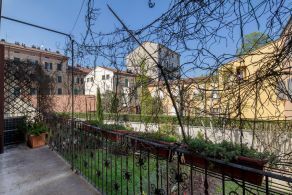 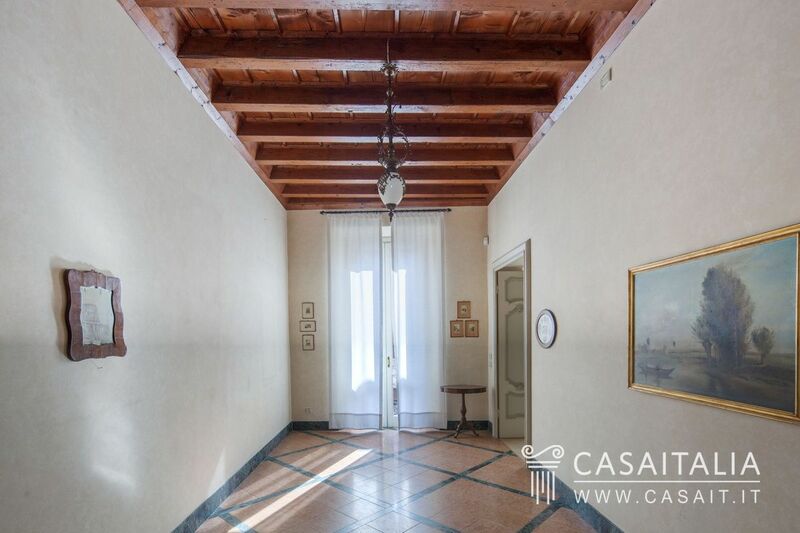 The apartment, which is on the main floor of a period palazzo, has a total surface area of around 291 sq.m, plus a large terrace measuring 50 sq.m and several balconies, an approximately 30 sq.m cellar on the ground floor and a large garage measuring over 60 sq.m. 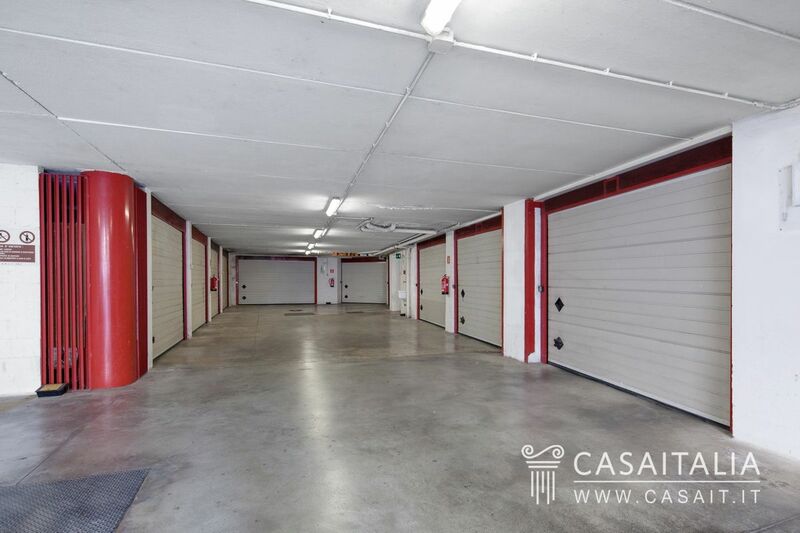 The apartment can be accessed both via an elegant pedestrian entrance, and by a convenient driveway which leads to the garage on the lower level, which also has lift access. 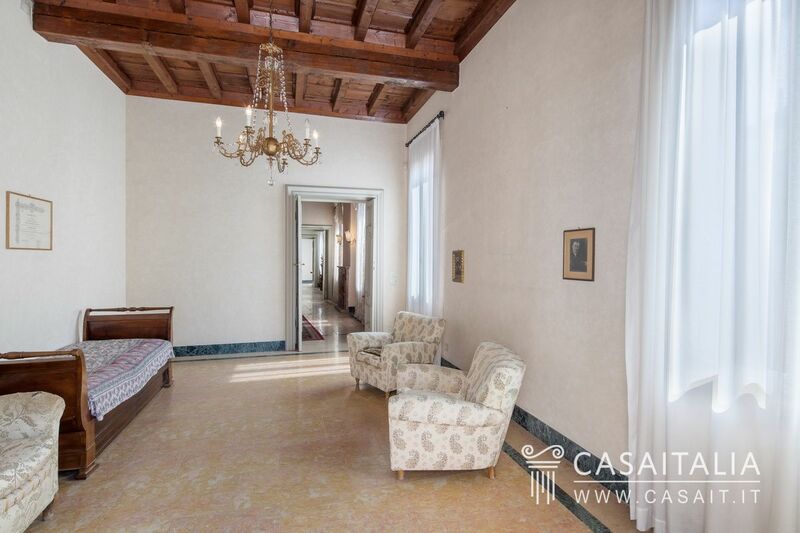 The apartment benefits from two entryways: the main one, which leads to a pretty foyer (which could also be used as a sitting room) from which there is access to the main living room/dining room, framed by an incredible panelled ceiling, partially frescoed walls from the 17th century which have been perfectly preserved and restored, and with a beautiful marble fireplace, perfectly paired with the checkered floors. 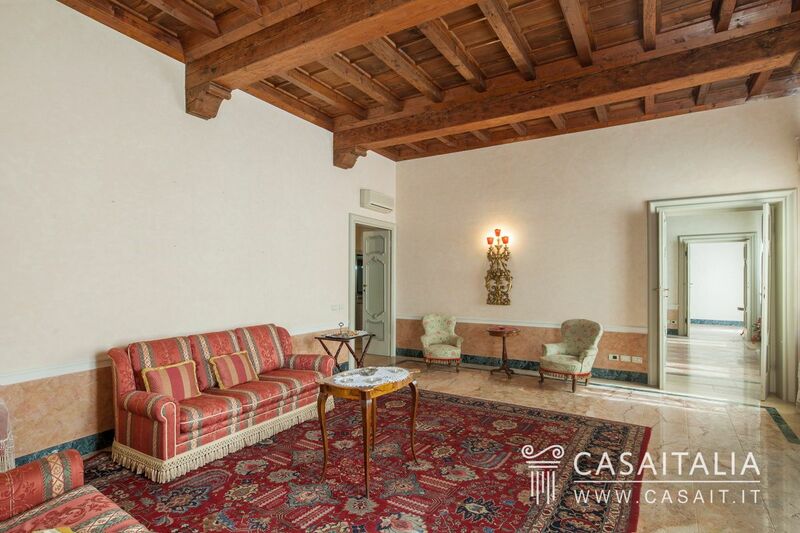 Next door, there is the large living room, which also has wood ceilings and marble floors, complete with fireplace in Red Verona marble. 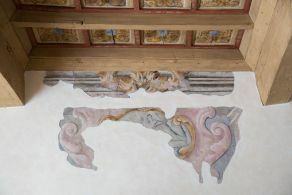 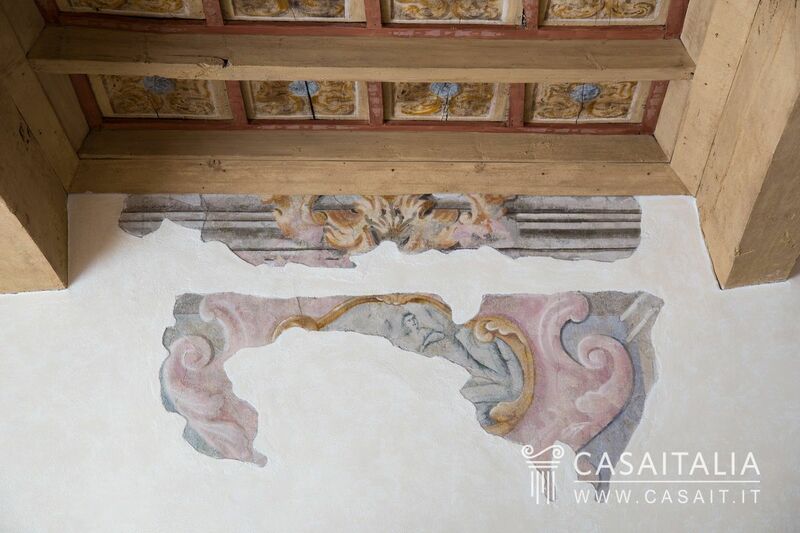 The whole main floor has been finished with luxury materials, italian marble and 17th century doors which have been restored and perfectly maintained. 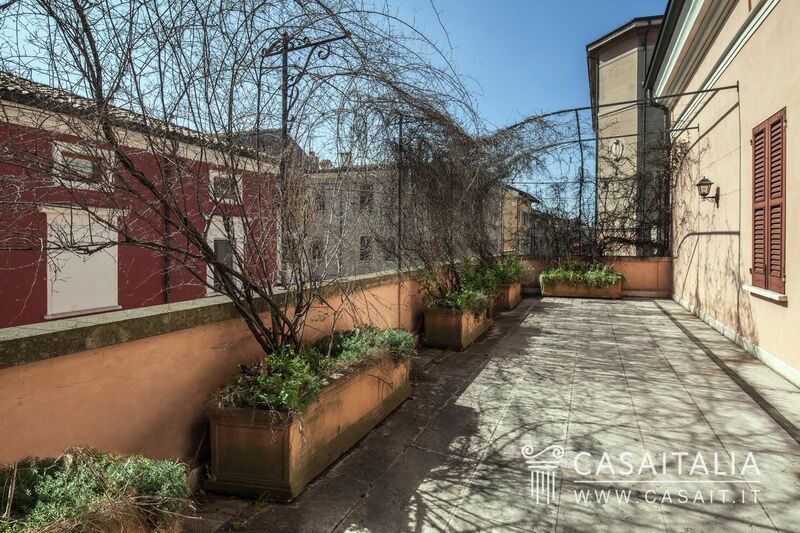 In addition a second, less formal living room, leads to the large, south-west facing terrace, an ideal outside space during spring and summer. 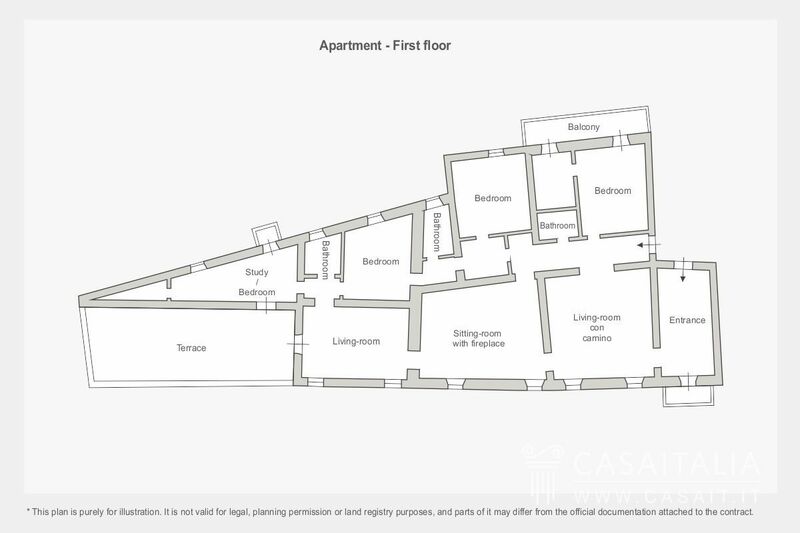 A hallway from the dining area leads to the large kitchen, with a balcony running round it with attractive views of the green internal courtyard, and to the utility/laundry room, also with balcony. 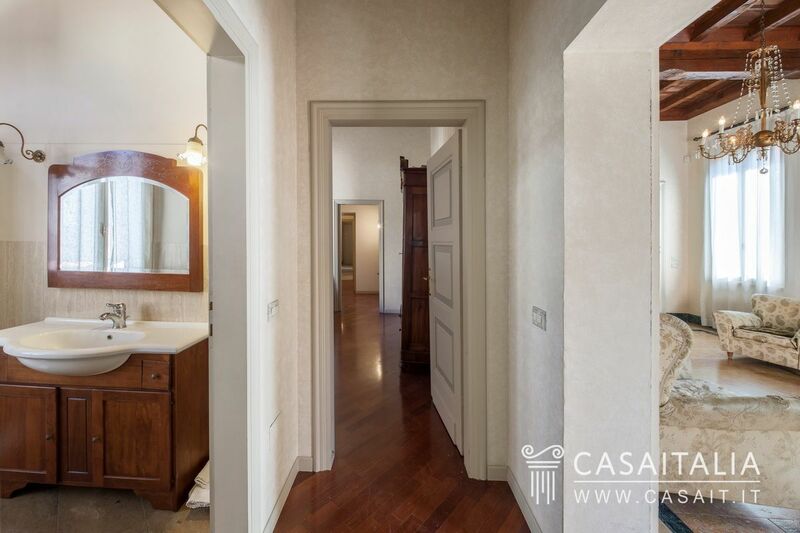 From the hallway there is also access to the guest bathroom and the sleeping area: the two double bedrooms both feature fishtail parquet floors, paired with the wood ceilings, while the bathrooms feature the same marble finishings as the rest of the apartment. 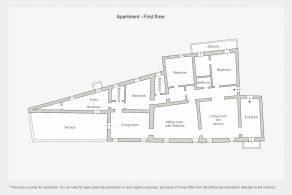 Finally, there is a third bedroom with a triangular shape which would also be ideal as a studio. 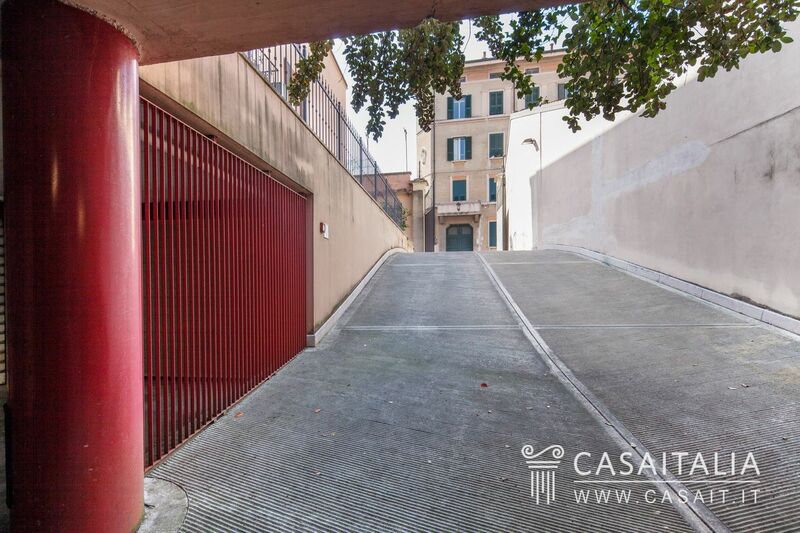 The apartment has been fully restored, with modern appliances, underfloor heating and lift access. 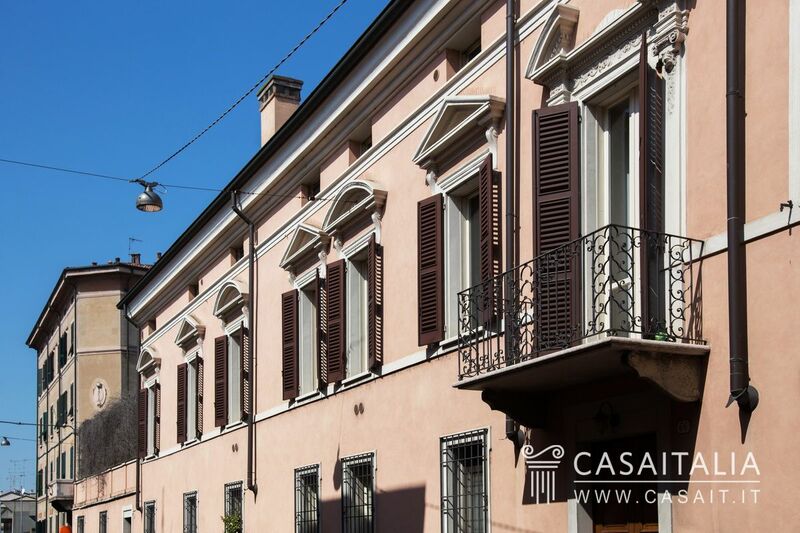 The external fixtures are all double glazed and the doors are of the period. Although it is in the heart of the city centre, the apartment benefits from pleasant, liveable outdoor spaces: a large, 50 sq.m terrace, the balcony off the kitchen, which is around 16 sq.m, and two useful balconies. 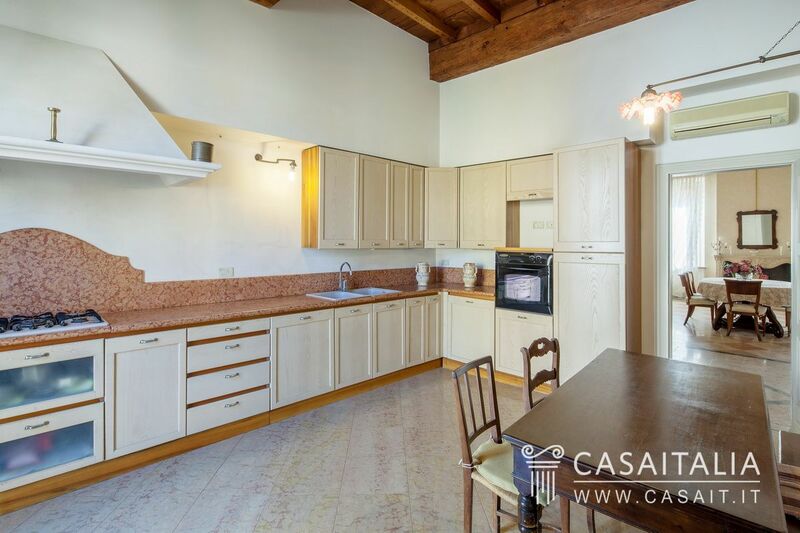 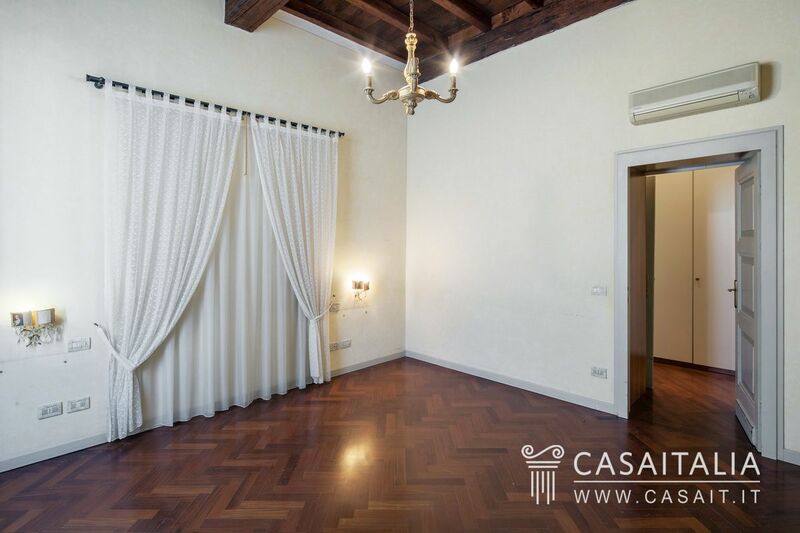 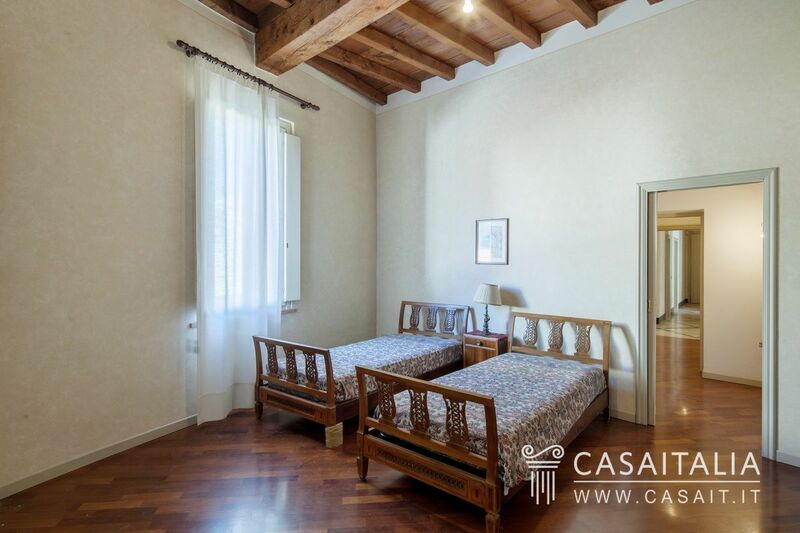 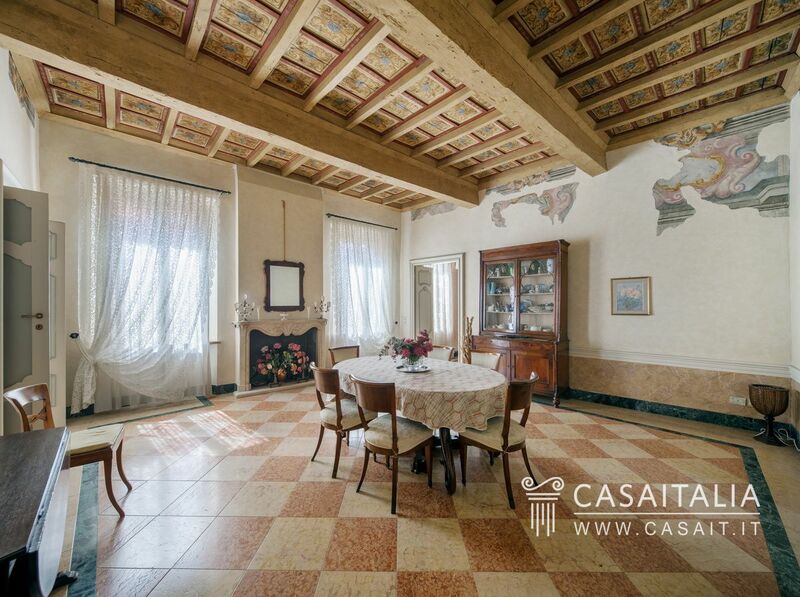 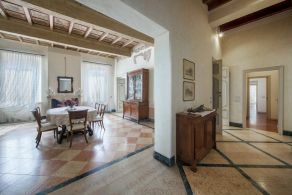 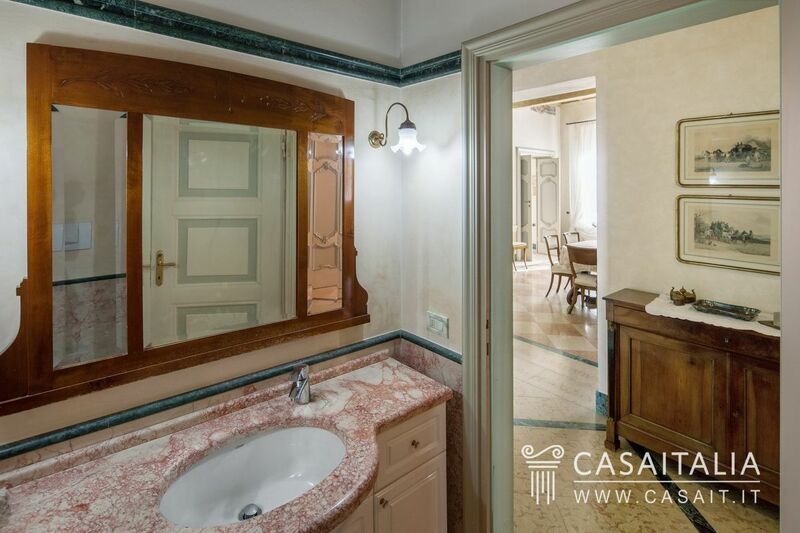 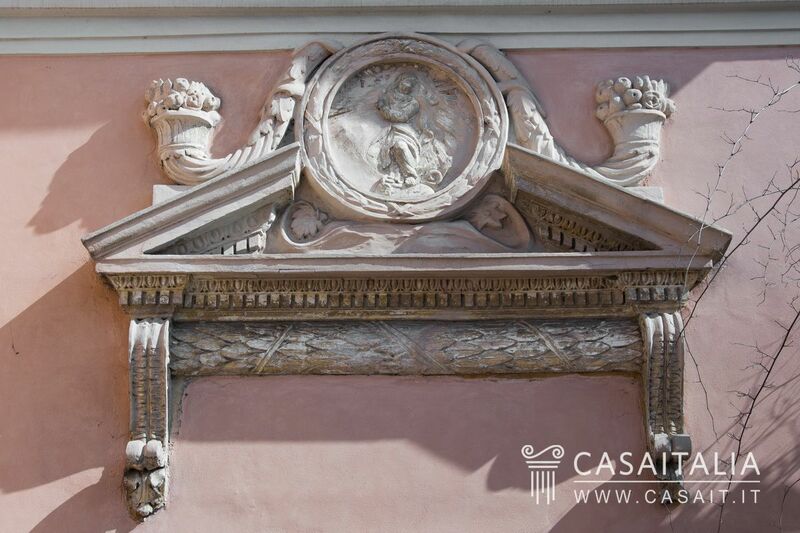 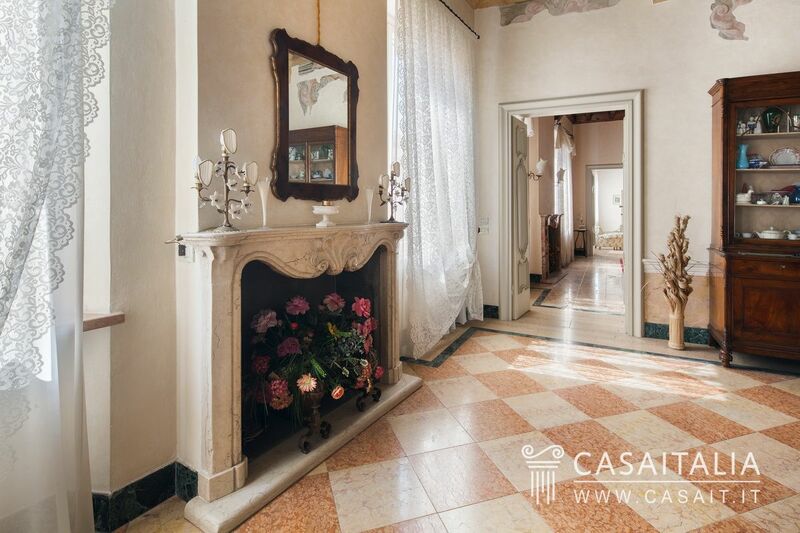 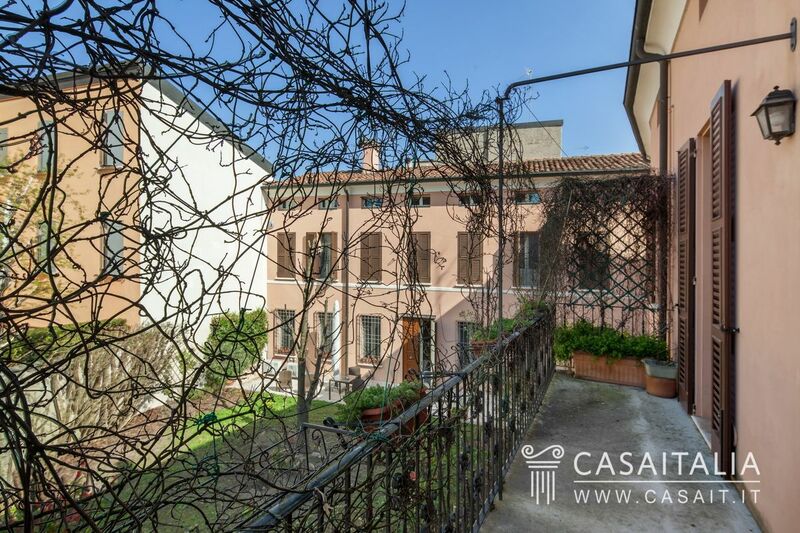 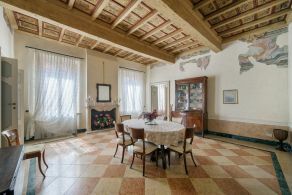 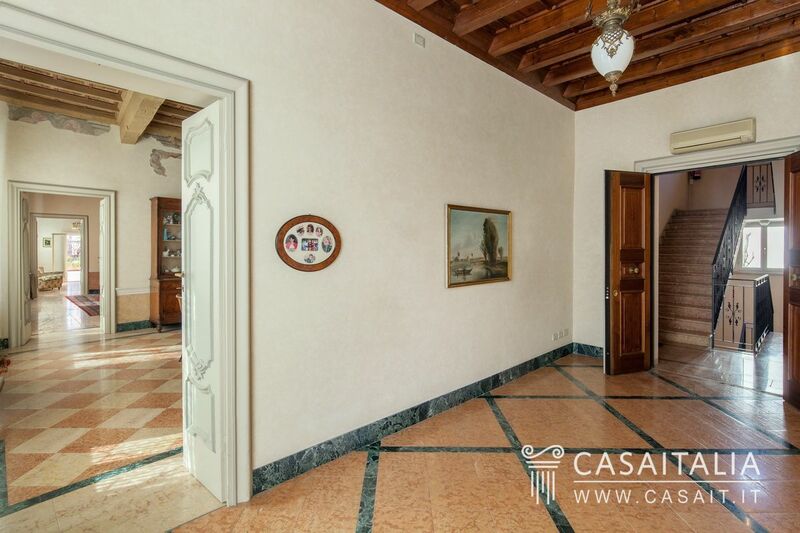 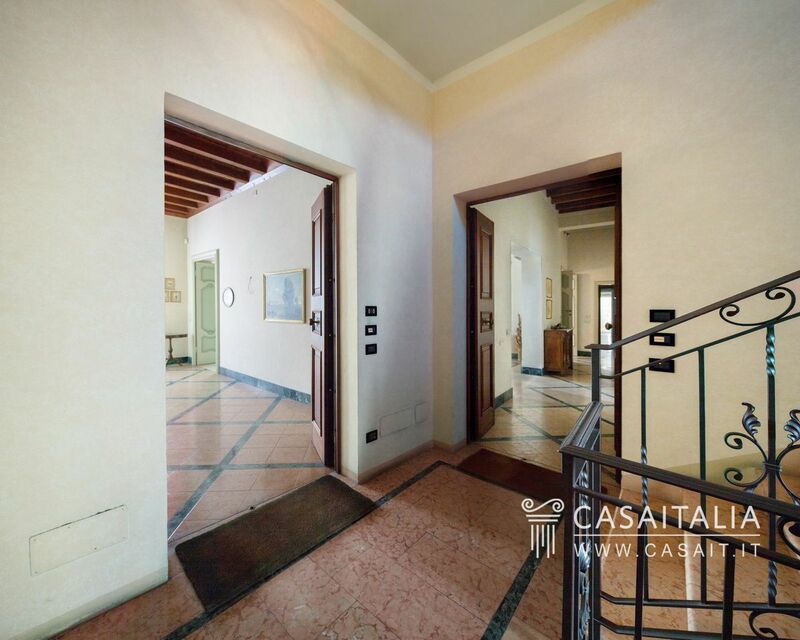 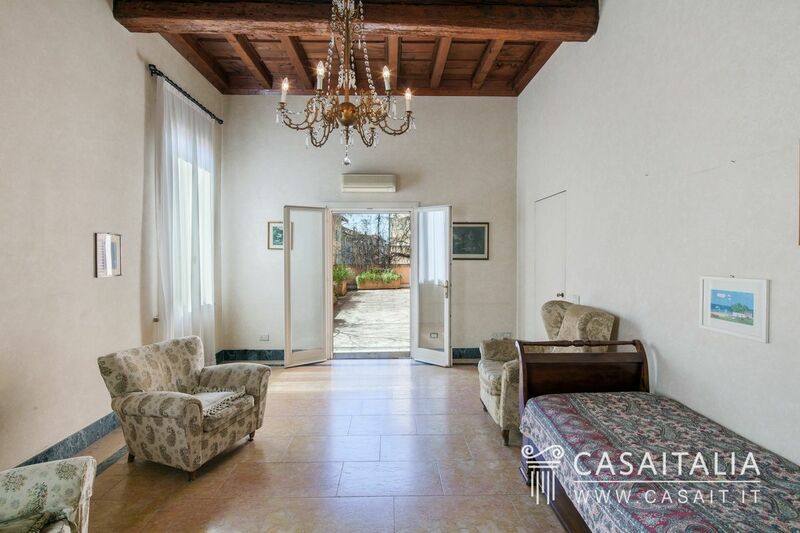 This period apartment in the centre of Mantua would be ideal both as an impressive main residence, and as a family home, for those looking for a property in a central and convenient location which is also comfortable and has outside spaces, a rare find in our cities’ historic centres.